The first half of 2015 is over. The disc golf industry continues to grow and evolve. In the first six months of the year, Infinite Discs has added 47 new disc models and countless number of new plastic types for existing disc molds. New discs and plastics generally sell best, but many of the older traditional Frisbees continue to find top spots in terms of overall popularity. What are the best disc golf discs in 2015? Innova dominates distance driver sales, and holds the top four spots. The Destroyer is not only the most popular selling distance driver, but it is our number 1 selling disc period. While no particular plastic for the Wraith and Beast sell significantly well, the large number of available plastic types keeps these discs in the Q2 top 10. With the exception of the TeeBird which is our #3 selling disc for the quarter, fairway drivers typically don’t sell quite as much as distance drivers. For this quarter’s stats, Latitude 64 River sales numbers are likely down from what they should be because for a few weeks Dynamic Distribution was out of the River in its most popular selling plastic, Gold Line. We couldn’t sell what we didn’t have in stock. The Vibram Trak, which is on it’s way out of production, made the top 10 and while the Latitude 64 Trident filled the bottom spot for Fairway/Control drivers. It ranks 77th overall for all discs sold by Infinite during the second quarter of 2015. For those who have played disc golf for a while, it’s no surprise that the Discraft Buzzz is still the top selling midrange, and our number 2 selling disc overall. It’s their Midranges, especially the Buzzz family, that keep Discraft sales up. Discraft sales numbers were likely inflated for Infinite Discs as we are one of the exclusive dealers for limited Ledgestone Edition discs. The Gateway Wizard is still our most popular selling putter despite the fact that we had supplier break downs that kept our stock from staying where it should have been. During this quarter the Wizard was our 5th most popular selling disc overall, just one spot ahead of the DD Judge. Finding its way in the top ten, the MVP Ion was our 41st most popular disc for the quarter. With four of the top 10 putters manufactured by MVP, this fast growing disc manufacturer shows how mainstream GYRO is becoming in the disc golf world. The PA-3 is the only Prodigy disc that has made any of our top 10’s during the second quarter. Innova is still the leading disc manufacturer and produces four of our top selling plastics, including the top two. Latitude 64’s two major plastics also made the top 10 along with Dynamic Discs Lucid (which is the same plastic as Latitude 64 Opto, just branded differently). 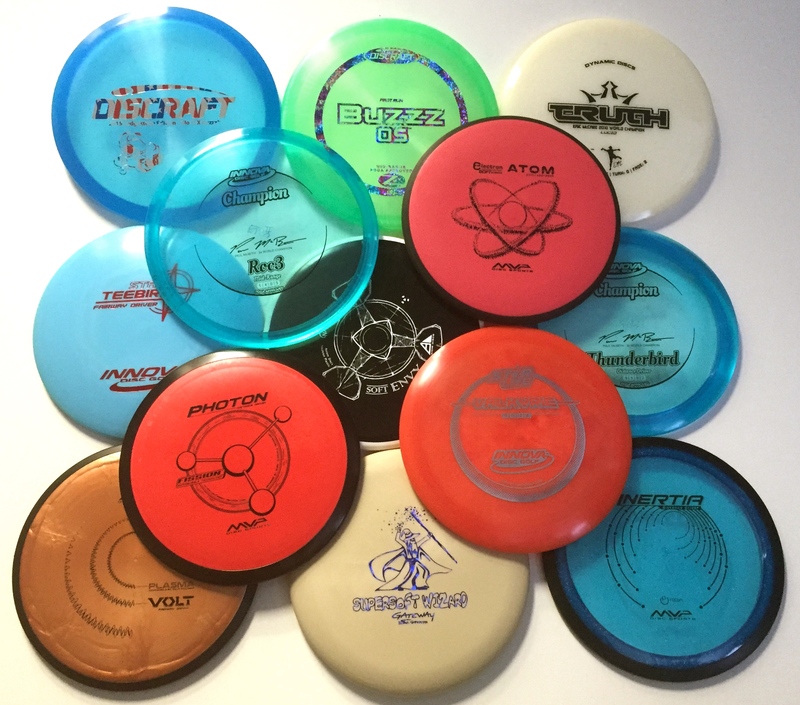 MVP and Axiom Neutron plastic also made the top ten and would have ranked even higher if our system didn’t separate them as different plastic types due to the variatons in branding. The #1 selling disc plastic for the first half of 2015 is Innova Champion, fueled in large part by hot sales of the Champion Thunderbird, Teebird, Mako3, Roc3, Tern, Valkyrie, Destroyer, and Krait. Star plastic is the #2 selling plastic, primarily because the Star Destroyer is such a hot selling disc. We sold more than three times as many Star Destroyers as the next most popular Star plastic model. Other top Star plastic discs include the TeeBird, Foxbat, Wraith, Tern, Boss and Mako. I really like that you produce these ‘best-selling’ lists for us all to see. It’s cool to know what the majority of people are throwing. Keep it up!